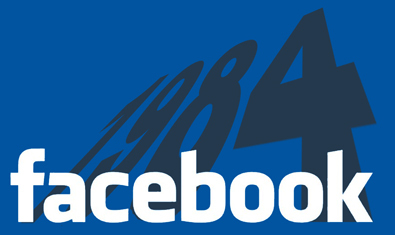 Facebook is watching you the new big brother 1984? A number of people, who are of a certain age, or older (my age) have said that youngsters seem to live their lives in a fish bowl; they question the need for people to tweet what they are doing at any given time. Perhaps this is why marketing directors " in their forties and over " struggle to understand social media and the role it plays these days. Facebook announced their new time line that will be launched over the next couple of weeks, that will encourage users to fill in the gaps, so is this a step to far and are the older generation right to be sceptically (phew, managed to pull that one together)! Supermarkets have long understood the value in collecting data about their customers; loyalty cards " and even credit cards " enable them to collect information about their customers demographics and buying behaviours, enabling them to target customers with specific offers. As one supermarket's slogan says, every little helps, but does it make you feel like a Very Important Person (VIP) " tenuous link for graphic (I know). Facebook knows the value in understanding their users; it enables them to provide a platform for businesses to target well defined groups of people (although sometimes I do wonder why some adverts are placed on my Facebook page when I log in). For businesses that aim for specific groups of people, e.g. university students in their third year studying sciences, Facebook would be able to extract this from peoples profiles, status updates, etc., Powerful stuff and a little scary? The introduction of Facebook's time line is another example of how businesses are increasing gathering information about you (Google do the same, the moment you log on to your Google account, use of Google+ and other services including the Chrome browser) and there are many others that I could cite. Facebook are effectively asking its users to fill in the gaps, that will give them a more complete picture of you, enabling them to use your data even more effectively. I do not mind sites storing data about me, if they are using it to provide a better user experience, but I object to them using it for their own benefit. Several years ago I was asked to develop a system that provided an address book that users could carry from one employee to another, similar to sites like LinkedIn, but their intention was to gather data and then sell it on (which I disagreed with and said I didn't want anything to do with it as I didn't think they were being honest). If a company collects data about you, it should be upfront about what it will do with it! The younger generation seem happy to live their lives online, be it Twitter, Facebook or another of social media platforms. They see social media as a way of connecting and staying in touch, although some people (including me) will would question some of the things they are prepared to share! In fact, whilst discussing this article in the office Vince said that users should not put anything on social media that they don't wish to be read out in public (or in court for that matter). The same could be applied to websites you visit, as these are tracked by numerous organisations (not least your Internet Service Provider). So, why do the younger generation seem to have no apparent fear to publishing images of them getting drunk at university or even " in some extreme cases " rioting on the street of our capitals this summer? I don't know the answer to this, but there are statistics coming out that show some Facebook users are virtually living online (no pun intended). Perhaps it my age, but I am growing increasing concerned with some of the tracking Facebook and others are actively pursuing and are not been entirely open about it. For instance, were you aware that whilst logged in to your Google account all your searches and page visits are recorded? Did you know that Facebook tracks you by using cookies " whether you are logged on or not " to track your movement (where sites use Facebook like buttons and other Facebook connected services). My main concern is not so much what Facebook do with this data, but what 3rd parties might use the information for, and I am not talking about government agencies as that is entirely different article and I haven't got my soap box handy! I read a series of books a couple of years ago " called The Traveler " which is an up to date take on George Orwell's 1984. The books are fantastic and a great read, but raise some worrying statistics, about CCTV amongst other tools governments and corporates alike use to spy on us. As the youth of today become more wired to the internet, who's responsibility is it to protect them from themselves? Is big brother sneaking through the back door? Where are the lines that business and / or government should be prevented from crossing? Are you concerned? Too many questions, but perhaps we should be thinking about this as the businesses behind some of these tools, be they Google, Facebook or others need to have some controls in place. Post-Google Buzz: Has Google+ Gotten Privacy Right?